The black agricultural soils of the west of Scotland are beginning to give up their secrets through the work of the Blackland Centre. First, we need to be clear what we are talking about. Although many scientists and advisors call such soils ‘peat’ this is not sufficiently precise. ‘Peat’ can be a peat bog, blanket peat, peat for burning, stuff in the garden centre and so on. For this reason, we use the word ‘blackland’ which we define as managed soils very high in organic matter (>50%), quite acidic (<pH 6), in an Atlantic climate. Although arising from peaty material, blackland has been transformed by human activity over time, and usually occurs as part of a small-scale agricultural mosaic. According to the West Highland Survey (1955), about 1/6 of all croft land in Scotland may meet this definition. Blackland fields are usually small (less than an acre), seldom flat, and occur in a diverse pattern of arable, grassland and rough grazing. They produced hay, oats, potatoes and other crops for hundreds of years. With the arrival of large agricultural machinery and changes in support payments in the 1960s, blackland was mainly left as rough grazing for sheep; due to the Atlantic climate, it very quickly became overgrown when management ceased. 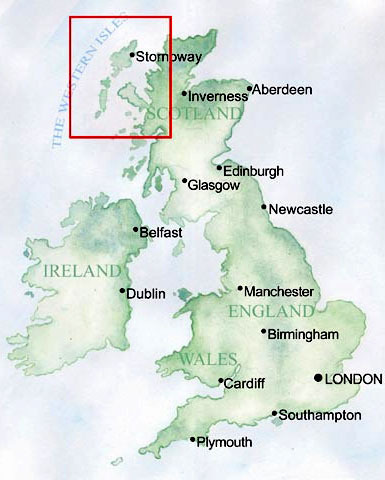 The Soil Survey of Scotland (Macaulay Institute for Soil Research1984) sampled only about once per square kilometer, and did not note differences between agricultural use and moorland. The Land Use Capability Classfication (Macaulay/Rothamsted 1977 and subsequent) was designed to classify land for agricultural purposes, based on its ‘capability under a moderately high level of management’. 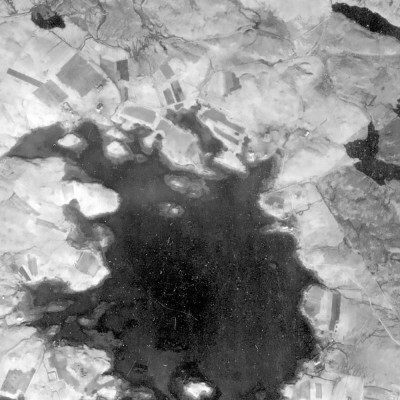 The classification that would seem to best describe the black agricultural soils of the west of Scotland is Class 3: ‘Land with moderate limitations that restrict the choice of crops and/or demand careful management’ or Class 4 ‘Land with moderately severe limitations..’ However, for reasons unknown, possibly due to unfamiliarity with crofting agriculture, it is often classed as 5 or even 6 with use ‘restricted to pasture, forestry, recreation…or rough grazing’. 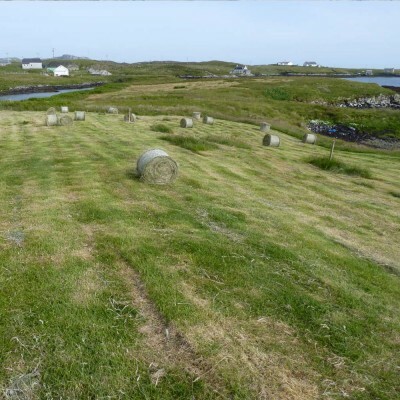 This mis-classification has been widely accepted among advisory and planning agencies, has skewed support programmes, and has been very detrimental to crofting. The Blackland Centre is developing a research-based description and classification system through measurements and statistical analysis to provide more precision in the study and use of our west of Scotland agricultural soils. (Classification of Blackland) We recommend describing such soils as highly organic and anthropic, or using the English term ‘earthy peats’. We are investigating similarities between blackland and the well-described moorsh soils of continental Europe which have been the subject of intensive research into the complex and permanent transformations which can take place through agriculture. Then, we can summarise what we have learned. The Blackland Centre also maintains a croft, makes grass silage to feed cattle, and has provided a site for field trials into traditional production methods to the SRUC/University of Edinburgh. Our work so far into regeneration of blackland systems shows that historical knowledge is essential, that large modern agricultural machinery is not suitable and that environmental impacts are minimal (compared to those arising from importation of food and fodder). Many blackland areas are now derelict and overgrown. Agricultural advice in the past 50 years has mainly been concerned with boosting productivity in large-scale commercial farms on mineral soils, and has not taken much notice of traditional agriculture. It is hard to find relevant advice. We need to learn to look carefully at our land for signs of past use, to learn to ‘read the land’. Most crofts are very varied and changeable. In a wet year, one area may be most useful, in a dry year, somewhere else may be better. Most blackland fields have been under-used since the 1960s, and a quick look today does not necessarily indicate their potential. The Blackland Centre has developed simple methods of evaluating the potential of a disused blackland area. The Blackland Index has 5 easy tests plus one soil analysis which must be sent to a lab or SAC. Rule 1 a: Do not skip your soil tests. Rule 1 b. Do not apply fertiliser without a soil test (unless you aim to waste money). Most managed fields were carefully sited to take advantage of natural drainage (on a gentle slope for example), or open drains were put in to intercept or remove water. The lazybed system also improves drainage for the growing area. So, find and clear drains as much as possible. Do not hope that you can improve your land without doing this. Spend a lot of time trying to understand water management – good drainage systems arose from centuries of experience. Another way of removing water from the land is by removing excess vegetation. If a field is overgrown, you can feel a cold wet blanket of vegetation (usually moss, dead grass and other vegetation) lying on the surface which holds moisture and prevents the ground from drying and warming in the spring. If you mow and mow, you will get grass! Believe it. There are plenty of useful grasses (bents, fescues, cocksfoot, yorkshire fog, even sometimes a little rye) struggling with the blanket. When it is removed, they will grow, and you will have grass. Mowing can be done with a ‘topper’ pulled by a quad or even a large riding mower. (The advantage of the mower is that it picks up the litter too.) Otherwise you have to rake it off. When you are thinking of equipment, consider mowing and raking as first priorities. An alternative for the first season is to wait for a good burning day and burn the field before mowing – ash is more convenient than litter! After water management, soil pH is the most important thing: it affects how nutrients become available to plants. As a result of your soil test, you will probably find that the pH is at most 5. Optimum pH on blackland is 5.3 – 5.5 (SAC 2016), unlike mineral soils where >6 is recommended. The way to raise pH is through application of shell sand – tons of sand per acre. (Being able to spread sand is an equipment priority – in the old days, they did it with a shovel from the back of a cart.) Uist shell sand can be more than 40% lime equivalent. We prefer sand to agricultural lime as it is less likely to wash away, needs to be done only every 5 years or so, and improves soil structure. Lime is quicker acting but you are trying to tune a system, not shock it. Rule 5: Suit the crop to the land, don’t try to change the land for the crop. It seems that many desirable and nutritious grasses and other plants will actually grow well on blackland outside of their theoretical ranges. Some likely grasses are mentioned above in Rule 3; even some clovers can establish around pH 5. Useful herbs such as plantain and chicory will do fine. We have made grass silage out of local grasses without fertiliser (except for sand and muck) that tests at a level sufficient to maintain healthy livestock. Don’t be seduced by the claims of the seed catalogues which disparage ‘weed grasses’ (i.e. the ones that grow here) and promote new mixes with names like Tornado or Typhoon. Most modern grasses are bred for drought- and frost-resistance and to respond to high levels of synthetic fertilisers. The older ones were tougher and more resilient, more suited to a system aiming for equilibrium rather than high-input rotations. We are experimenting to see which if any modern grasses will establish and perform here, but so far have found nothing suitable, unfortunately. “It is too simple to say that the ‘marginal’ farms of New England were abandoned because they were no longer productive or desirable as living places. They were given up for one very practical reason: they did not lend themselves readily to exploitation by fossil fuel technology… Industrial agriculture sticks itself deeper and deeper into a curious paradox: the larger its technology grows in order to ‘feed the world’, the more potentially productive ‘marginal’ land it either ruins or causes to be abandoned”. (1979). Rule 6: Suit the stock to the land, and manage your grazing. Small blackland fields with moderate grasses never supported large modern breeds. 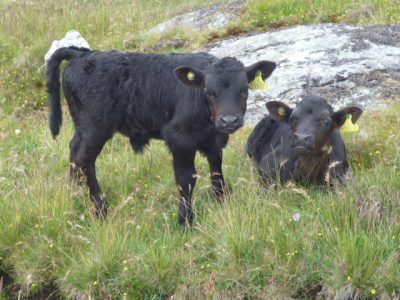 Hardy traditional breeds such as Highlanders, Dexters, Blackface, Hebrideans are adapted to this land and this climate. Unfortunately, some of the old breeds such as Luing or Aberdeen Angus have been bred to be larger and more profitable when sold as supermarket beef. Hopefully, as the local food movement grows, we can develop more opportunities to market small, delicious animals. Some form of rotational grazing is essential. If hungry animals are left on a field for season after season, they will overgraze the delicious grasses, and ignore the unpalatable plants which will flourish. The field will get worse. There are many theories about best practice in grazing/cutting management, but at a minimum, a holding needs to be divided into smaller areas so that stock can be moved around. The guru of grassland is David Younie (SAC ret. ); his book “Grassland Management for Organic Farmers” (Crowood Press, 2012) is thorough, fascinating and useful. Conclusion: there are no quick fixes in agriculture. It takes time to make a change, to undo decades of underuse, to learn about your land, to persuade different vegetation to take hold. At a minimum, it will take several years before you think you know what you are doing. Plan, be patient and keep working at it. We have all been trained to expect ‘solutions’ to ‘problems’ – got a weed? poison it! Want tomatoes? apply ‘tomato food’! There are no quick answers, only processes. It will take a while. We must also realise that the west of Scotland is one of the most marginal areas in Europe for agriculture, so anything we can do is a triumph. The old guys did it, why not us? PS: We have begun to describe and understand blackland, based on observation and practice on the croft at the Blackland Centre. 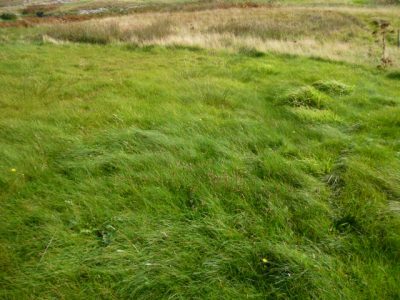 We are still at the frontiers of agricultural research – few in Britain have paid attention to small-scale, highly organic agricultural soils – so cannot say if our outcomes hold true outside the parts of North Uist where we took our measurements.